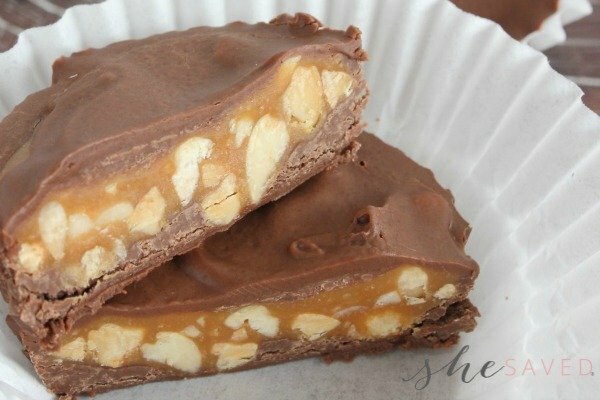 Looking for sweets to make for your sweeties? This Valentine’s Day treat is a good one! 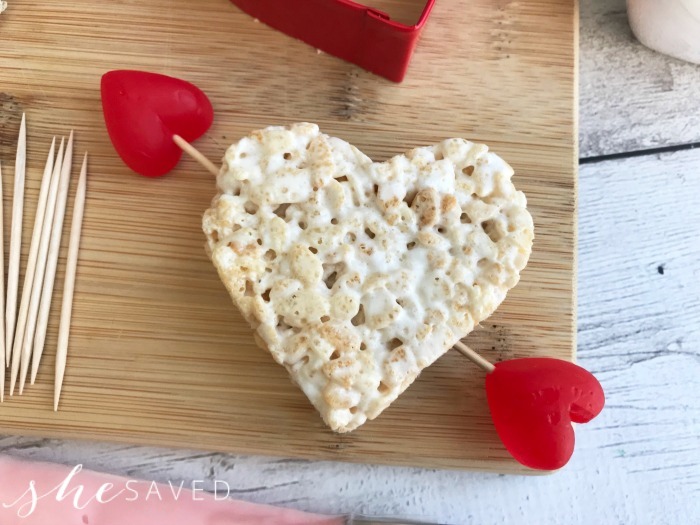 Make these Rice Krispie Hearts for your family or they also work wonderfully as classroom Valentine’s treats. 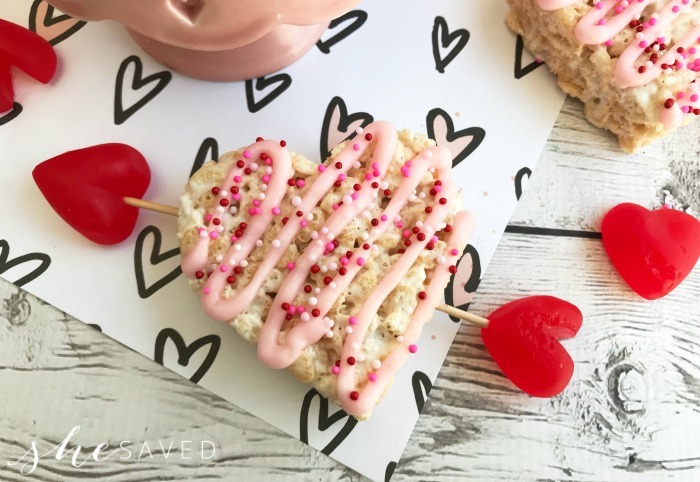 You can never go wrong with Rice Krispie treats for a few reasons. First of all, everyone loves them and second of all, they are SO easy, not to mention affordable. This is also a great treat for teens and tweens because again, they require very little prep (and no baking!!) and very few supplies. OR if you are short on time, they now sell Rice Krispie Treat Sheets! 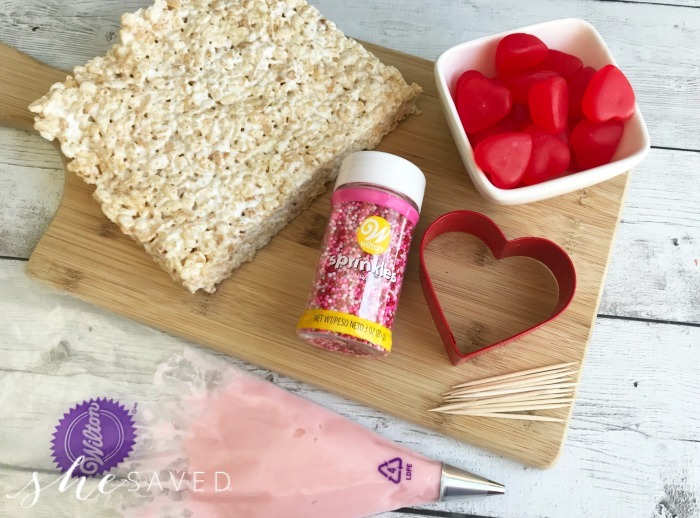 Perfect for this type of thing and might even be a great option if you are making these for a Valentine’s Day activity. Line a 9×13 baking dish with foil and spray with non stick cooking spray. Heat the 3 tablespoons of butter and 10 oz of mini marshmallows in a large saucepan or dutch oven, stirring occasionally. Once the marshmallows are 3/4 melted, pour in the 6 cups of Rice Krispie cereal. 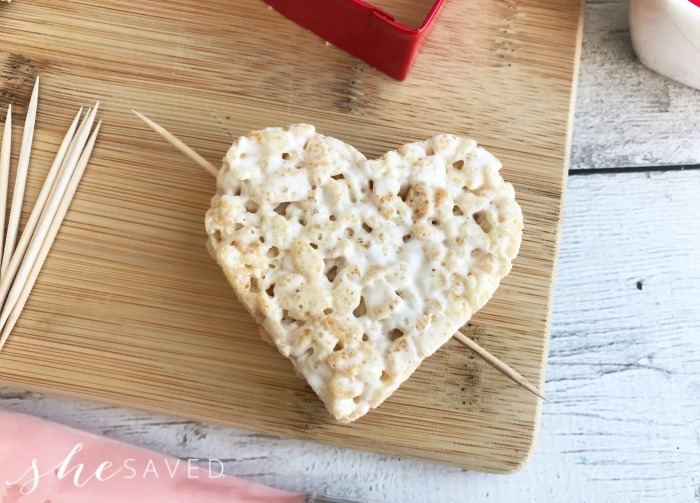 Gently fold the cereal into the melted marshmallows and pour the Rice Krispie treats into the prepared baking dish and evenly press into the pan and set aside. Combine the powdered sugar, 1/3 cup melted butter and vanilla extract and a tablespoon of milk at a time. Once the frosting has reached your desired consistency, add in a few drops of pink food coloring and stir to combine. Attach the small round frosting tip to the disposable piping bag and fill with frosting. 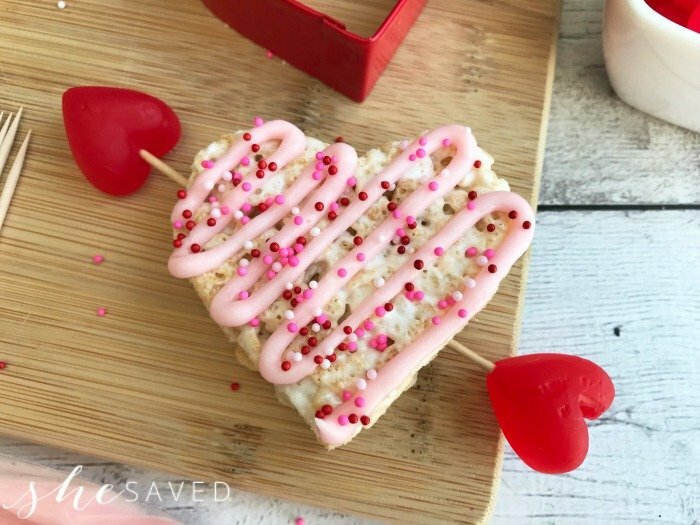 Use the Heart cookie cutter to cut the Rice Krispie treats as close together as possible getting an many as you can. 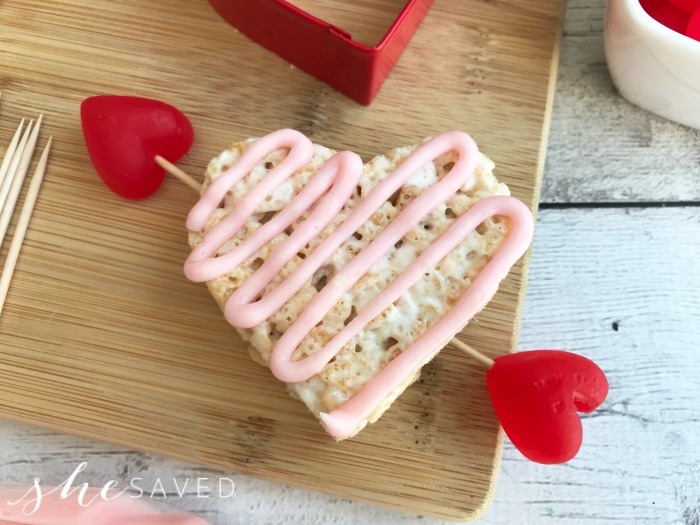 Take one Rice Krispie heart at a time and place one toothpick on each side so it looks like an arrow coming out from each side. Stick one gummy heart candy on one toothpick. Take a second heart and use the kitchen scissors to snip a triangle out of the top. Place this heart on the other toothpick. Gently squeeze the frosting out onto the heart in a back and forth motion. 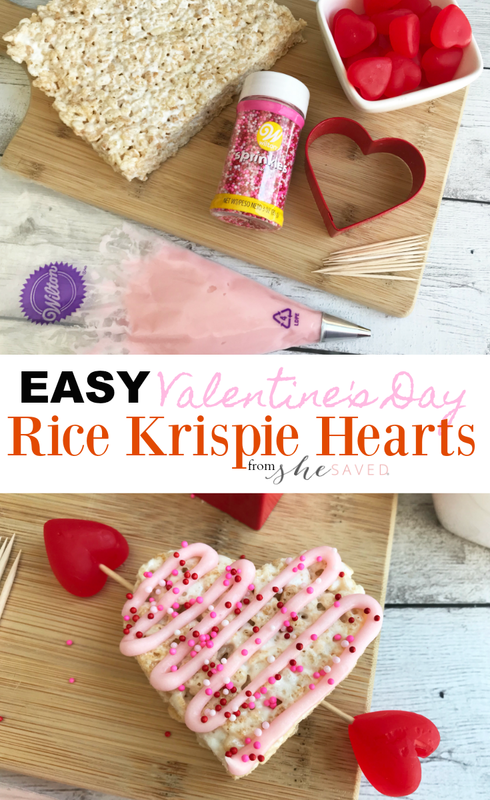 Repeat with all the Rice Krispie hearts. Line a 9x13 baking dish with foil and spray with non stick cooking spray. What a great treat for Valentine's Day! My kids would love these. Very creative! Thanks for sharing. 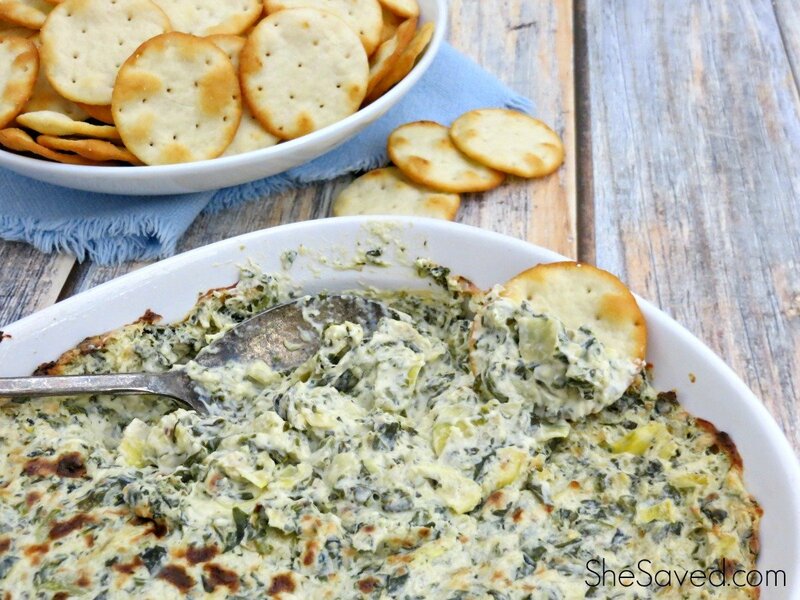 This recipe will be Featured at Merry Monday this week in our post for Homemade Valentine's Desserts. Pinning and sharing across our socials. Thanks for partying with us! See ya next week. Your sweet treat is perfect to treat your loved ones with on Valentine's Day. I'll be featuring it tonight at Merry Monday. Hope to see you at the party!